We’re by your side through the entire credit repair process. You never have to wonder about the status of your case. reports and prepare a plan of action for you. Credit has a massive impact on your finances. Every day needs such as housing, vehicles, insurance, and utilities are impacted by your credit. We understand this and are here to help you. Credit issues are never planned. One minor mistake on your credit can cost you thousands of dollars every single year. Let us help you take control of your credit and regain your finances. We are credit restoration and repair experts dedicated to empowering you to achieve your financial goals for you and your family. Which dreams are bad credit keeping you from fulfilling? Homeownership? A new car? A new job? Financial independence? We will go over your goals with you. We will give you a realistic timeline to achieve your goals. Within two business days, we will go to work on your behalf. In this phase we are focused on removing any negative, inaccurate, or outated items. We wait for about 30 days for the credit bureaus to respond. We then evaluate if you are ready to move to phase two. Your credit is looking better; we will contact you to see if your goals have changed. In this phase, we will work on a strategy to add positive credit, increase credit lines, and correct any payment history errors. Every thirty days we will evaluate if you are ready to move on to phase three. Juan Sanchez, also known as “Juan the Credit doctor“, is the owner of Credit Army Corporation. With nearly a half decade of experience working in the credit industry, Sanchez has personally reviewed more than 13,000 consumer credit files for mortgage professionals, investment groups and consumers. Labeled as the “Company with Credentials“, Credit Army Corporation works with financial professionals and consumers across the country. Juan Sanchez and his staff offer “real world” advice and help layout the best course of action consumers need to follow in order for them to achieve their financial goals. Our understanding of credit laws, how they function and the ways in which they are interpreted by credit bureaus, creditors and collection agencies is the key to our success. Juan Sanchez is an undergraduate of the University of Valencia Community College. Their family served for the USA Army. He has successfully rehabilitated his own credit scores over a 3-year period. Juan is a dedicated professional with a passion for client-centric delivery. He brings with his many years of success in process driven management. He has expertise in credit management, business development, marketing, strategic client development, multi-disciplinary team management, Travel Hacking, and Business Credit. We bring “real world” applications to consumers who are searching for practical answers to their credit questions. As part of his quest to give mortgage professionals, realtors and consumers a better understanding of the complicated credit system, Juan volunteers his time and knowledge to work with future homebuyers, Veterans and victims of abuse trying to restart their lives and create a better life for themselves and their families. We believe that credibility in the credit industry is a Must! Through basic credit education, he shares knowledge of false, misleading and unverifiable claims frequently made by collections agencies, credit companies and creditors in order to lure consumers to their services. As a true and credible credit “Expert,” Credit Army teaches consumers to seek the truth in all areas of their financial dealings. 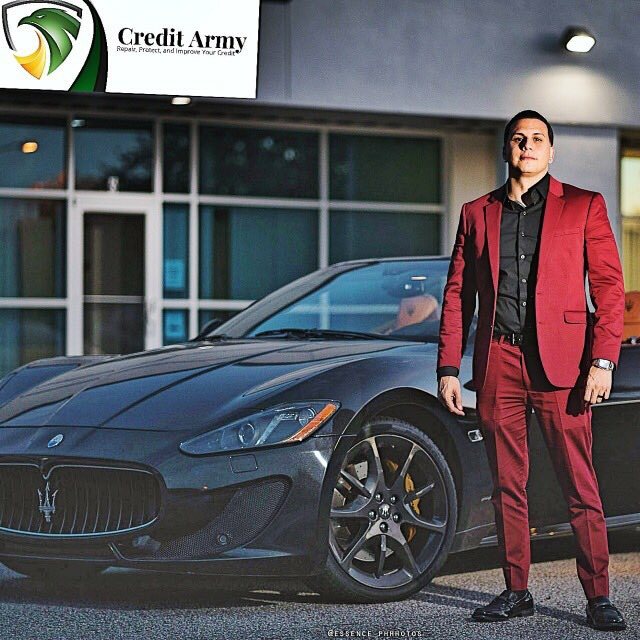 Credit Army is also registered and bonded with the State of FLORIDA and holds certification in the Fair Credit Reporting Act. For more information on Juan Sanchez, Credit Army or The Real World of Credit call or email us today! Stay on top of your purchases by paying for your purchases every day, like a debit card. Make sure your bill is always paid on time. Our Credit Optimizer feature can boost your score even more. Start taking advantage of credit card rewards like cash back or free travel without the worry of debt. Use your credit card like a debit card to avoid debt and get peace of mind when paying with plastic. Credit Army has helped hundreds of thousands of clients take action and repair their credit, since being founded in 2016. Financial industry term for a credit history indicating that a person is a high credit risk. A credit score of less than 560 is generally considered to be a bad credit score. With many years of experience helping consumers through affordable credit repair, Credit Army have the knowledge and tools to start fixing your credit score by working to remove inaccurate items on your report. Our attorneys know the laws, the roadblocks, and the process. We put our experience to work for our clients, restoring their confidence to pursue important steps in their lives. The goal of credit repair is to remove questionable negative information from credit reports. This is not an exact science and there are cases in which we may be unsuccessful. Our clients are protected with our 90 day warranty. If you sign up for service with Credit Army in any program, and do not see any questionable items deleted from your credit in 90 days, you will be entitled to a full refund. This does not mean that your credit will be repaired completely during that period but you should see some of your questionable negative items deleted in this period or your money back. (subject to the terms and conditions set forth below). 1. That you do not create or cause any new derogatory trade lines to be added to your credit report after your participation in the applicable program begins; You make all payments due and owing to Credit Army per this agreement in a timely manner. 2. You upload to our secure portal, mail, fax, or email Credit Army all correspondences relating in any way to your credit report within seven (“7”) days of receiving said correspondence. 3. You upload to our secure portal, mail, fax, or email to Credit Army proof of your identity such as a copy of driver’s license and copy of social security card within five (“5”) days of the effective date of this agreement. 4. You agree to give Credit Army thirty (“30”) days from the date you have requested a refund to allow Credit Army adequate time to review your credit reports and audit your account to verify that no negative items have been removed from your account and to ascertain the reason for this occurring. Refunds limited to payments made for 90 days of service only. (ex. If client is in service for 180 days, with no change made to their history, they can request a refund, but that refund will be limited to 90 days of service). If you are making vehicle payments, you are most likely paying between $4,000 and $10,000 more over the course of the loan just for having credit score issues. This added interest shows up every month for a higher payment. Negative credit listings are deleted from credit reports each and every day!Credit Army is hard at work every day challenging damaging and questionable credit entries on behalf of our clients. Utilizing proprietary and absolutely legal methods, Credit Army is a professional organization working for you and your credit. We hold ourselves to incredibly high standards, which is why our process is fully transparent once we begin our partnership. At Credit Army, we take great effort in repairing your credit as fast as possible. Although everyone’s credit history is different, most people will see progress within the first 30 to 60 days after enrolling in our Credit Repair Program. On average our clients graduate in as little as 4 to 6 months and are empowered to achieve their financial goals. YES! You are given the right under the Fair Credit Reporting Act (FCRA), including the right to challenge inaccurate, misleading, and obsolete items appearing on your credit report. Credit Army uses every venue available to you under the law to help you assert these rights.Challenging items on your credit report is your legal right (FCRA). When you use Credit Army to help repair your credit, we are abiding by all federal and regional laws regulating third-party credit repair assistance. We have not had a single client who has not gotten results from our program. We know from experience that, due to our one-on-one personal approach, our clients usually have great results. All results are unique to each situation, schedule your consultation to see how we can help you.Challenging items on your credit report is your legal right (FCRA). 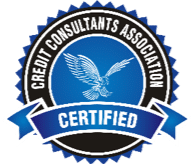 When you use Credit Army to help repair your credit, we are abiding by all federal and regional laws regulating third-party credit repair assistance. Services are provided on a month-to-month basis and clients may cancel their service at any time. At the time of cancellation, the client is eligible for a refund of their most recent monthly charge collected within the last 30-days. Credit repair is 100% legal and it works because of the law. The Fair Credit Reporting Act gives you the right to dispute any items on your credit reports that are inaccurate, obsolete, out-dated, or unverified. If an item cannot be verified,it must be removed. If an item is inaccurate it will be updated. In some cases, we can negotiate payment to original furnishers of debt and/or collectors of debt, on behalf of clients. Credit Army credit repair program is a month to month service and you may cancel anytime. Just give us a call or email to cancel. All services come with Credit Army 90-day back guarantee. If your credit report doesn't improve in the first 90 days, you can get a full refund. Click Here For More Details. Pick the credit repair pricing that works best for your situation! Credit Monitoring of $24.99 is included in package. Identity IQ would be suggested for those 4+ collections. Credit Monitoring of $24.99 is NOT included in Package. Identity Iq would be an additional charge and billed separately. This plan is recommended for those individual with 1-3 collections for cost saving. We’re your professional advocates with the credit bureaus, your creditors, collection agencies, and more. Once you sign up for our services, you no longer have to deal with these giant institutions alone. We are trained experts in consumer protection law, helping you get the credit you deserve. We realize that credit issues often happen because of unavoidable life circumstances like health crises, divorce, or sudden job loss. Unfortunately, lenders and financial institutions can’t see your character when deciding whether to lend to you. Rather, they only see your credit history and credit scores. We’re here to help you turn those numbers back to your side. Designed by Ajroni Enterprises Inc . All Rights Reserved.